With so many fabulous destinations to select from when you are planning your top family vacations it can be difficult to decide where to start. The important thing to remember is that a vacation is a time for you to enjoy yourself and spend quality time with your loved ones. 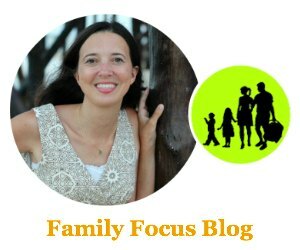 Here are a few tips for planning the perfect family vacation for all of you to relax and have fun while you travel. It is far easier to plan the perfect family vacation if you think far ahead. You can get together as a family to discuss and plan a superb vacation with something for everyone to look forward to. Of course, you need to ensure that your choice falls within your budget. However, you can make savings on the cost of your family holiday by looking for special deals or even using one of the best cash back credit cards to make the payment for your booking. We always do that and the savings add up! Here are five tips that can help with planning and organizing your perfect family vacation. The first part of planning your vacation is deciding where you plan to go. This will depend on a number of factors, such as whether you want to go somewhere hot, whether you want sightseeing or beaches, what the ages of your kids is, your budget, and other factors. With so many great deals on a wide range of fabulous family vacation destinations, you won’t find it difficult. For instance, for a perfect family vacation you could head to Florida, where you have beaches, family entertainment, and sunshine all within easy reach. If you want to soak up some unique culture and history you could head for Europe, with a vast choice of destinations to select from. If you know you want to head to somewhere like Florida and you are all happy laying at the beach the whole time, then choosing your activities is easy and done. 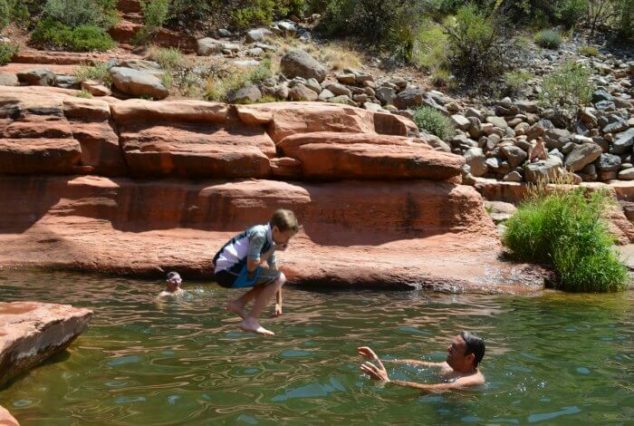 If you want to add some adventure into your perfect family vacation, you can search for the area attractions because lots of things may require booking ahead of time like boat trips, or ziplining. Part of our 2017 Southwest road trip. Once you have decided where you want to go, it is time to hunt around for the best deals. No matter which destination you opt for you will find some amazing prices on offer these days, and the Internet is an excellent tool through which you can source these bargains. Take the time to compare different deals available in order to find the one that best suits your needs – and don’t assume that a package vacation is going to work out the cheapest, as you may find some great deals on separate flights and accommodations. I use sites like Kayak, TripAdvisor, Airbnb and more to plan out all the details and book our perfect family vacation. Be sure to consider if you need pet friendly hotels or hotels with two bedroom suites for larger families. It is important to ensure that you have all the necessary documentation for your vacation in plenty of time to save on any last minute disappointments. Make sure that the passports for everyone traveling are not expired or close to being expired, and look into any visa requirements depending on where and for how long you are going. Also, get your travel insurance sorted out, as this will offer peace of mind for the whole family whilst you are away. You can start off by writing or printing a packing list for everyone going and then you can actually do your packing a few days before you head off. As long as you have a list ready, you are unlikely to forget things at the last minute as you rush to pack. Remember the extras such as adapters for foreign countries and your foreign currency. When you are arranging your vacation don’t forget the little things such as booking a taxi to get you to and from the airport or arranging car parking at the airport. Also, take some time to draw up an itinerary for your perfect family vacation, as this will help you to make the most of your time. 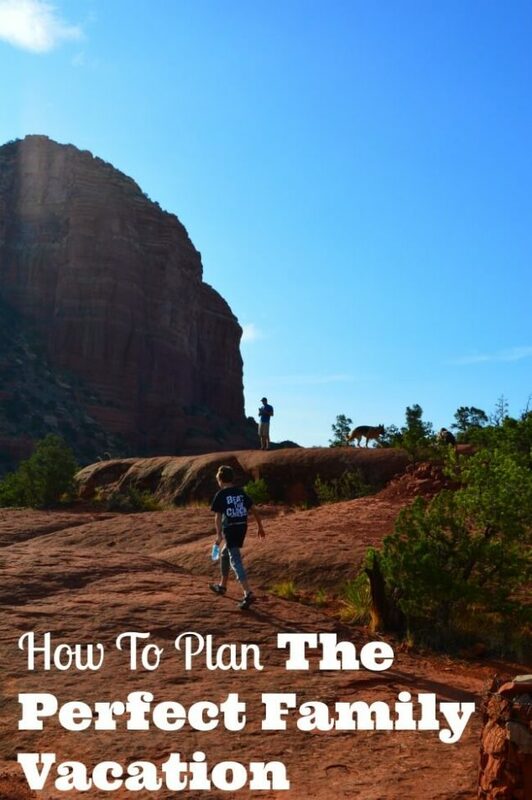 I hope you found these family vacation planning tips helpful. Where are you planning to go for your perfect family vacation? Thanks to you I know more one page create a list of items needed for a trip.